What is the Transformation Oracle? If you are new to divination cards, you will find this deck highly intuitive because the pictures on each of the 44 cards give lots of information at a glance. There are only four suits (Earth, Air, Water, and Fire), and they relate to ideas you already know concerning Body, Mind, Heart, and Spirit. The 68-page guide book is full of practical advice. 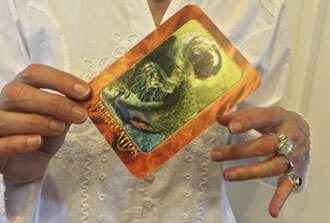 You will quickly be able to draw upon your own life experience to do meaningful, accurate readings. If you are a seasoned Reader, this must-have deck will extend your collection particularly in the areas of personal growth and life’s transformational experiences. You’ll quickly be up to speed with the color-coded suits. You’ll draw deeply from your wealth of experience because the Transformation Oracle invokes astrology, psychological archetypes, and universal symbols. 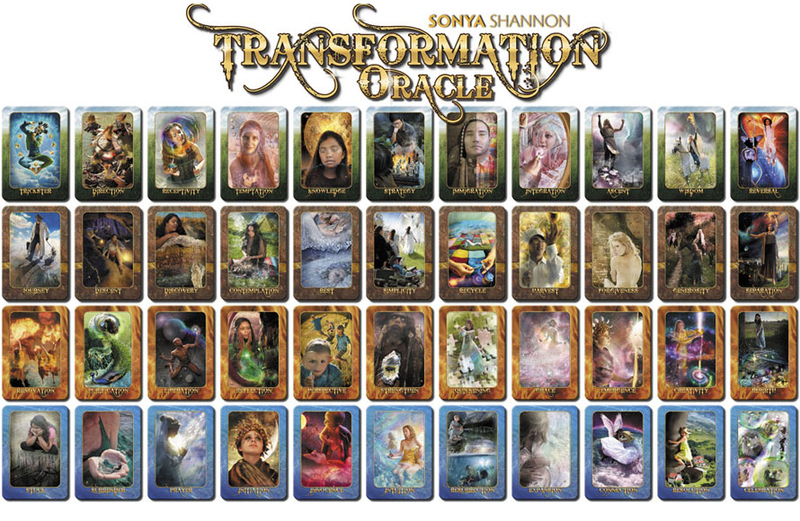 The Transformation Oracle is not just another deck, but a unique and genuine asset to your psychic healing tools. "The Transformation Oracle is the most beautiful, intriguing and inspiring source of support and guidance for anyone's journey. I felt the magic and mystic power the minute I opened the box! I love that the spreads and perspectives to ponder are endless. It's a lifetime of love and loveliness for my soul!" The cards are simple to use. The artwork and messages serve as a portal to the metaphysical world, giving us access to spirit guides, angelic beings, and divine energies. "As a Native American, Anishinaabeg, the use of the four elements: Fire, Earth, Water and Air correlates to my own sense of spirituality, especially the Medicine Wheel. It is a deck that speaks the truth to me. It is a barometer of your own spiritual growth, gently moving you to new heights and brighter lights. I am shown where I am not in balance on my own spiritual journey, and the deck shows me, very clearly what my clients need to know. It is very empowering for both the reader and the client!" "In the guide book for the Connection card, where it says, "Thank you for this love," what a statement! It is easy to forget the magic, but your painting brings it all back."